The Cubs entered this offseason with the main goals of adding depth to their starting rotation and bullpen, as well as signing a center fielder. Many believed that David Price was the Cubs’ number one target, but he signed a record-breaking deal with Boston yesterday that the Cubs simply could not (nor should they have) matched. Another supposed target of the Cubs, Jordan Zimmermann, signed with the Tigers over the weekend. So now two starting pitchers that the Cubs were believed to have had serious interest in are gone. Where do they go from here with regards to adding pitching, and what free agent outfielders may they heavily pursue? Theo Epstein and Jed Hoyer are not going to hand out a $150 million contract to a starting pitcher. Not with Lester already making more than that and Jake Arrieta set to earn a major pay raise in the next year. What the Cubs are likely looking for is a pitcher who will accept a two to three year deal worth anywhere from twenty to fifty or sixty million. John Lackey’s name has come up quite frequently in Cubs rumors, and honestly it makes some sense. Lackey is 37 years old, but he is coming off of a great season in St. Louis where he went 13-10 with a 2.77 earned run average. While age is a bit of a concern with him, he doesn’t seem to be showing many signs of slowing down. At least not yet, which is why signing him to a two-year contract worth somewhere around twenty million makes sense for both sides. In addition to John Lackey, Jeff Samardzija’s name has begun popping up as a potential target of the Cubs. When the Cubs dealt him to Oakland two years ago at the trade deadline, Epstein and Hoyer did not rule out the possibility of re-signing the big righty when he became a free agent. Well, that time has come, and it appears the Cubs’ brass may be sticking true to their word. Samardzija had a pretty rough season in 2015 with the White Sox, going 11-13 with a career worst 4.96 ERA. Despite having some of the best “stuff” in the game, he lacks control of his fastball with regularity. When this happens, he becomes extremely hittable. One other possible starting pitcher that could potentially end up on the north side is Shelby Miller. This could only happen via a trade. Rumors have been swirling of a possible Jorge Soler/Javier Baez for Shelby Miller trade. I would assume there would be more pieces to that puzzle if it actually happened. And if it did happen, it would be a great pickup by the Cubs. Notice that he had a career best earned run average this year, but also had the fewest wins and most losses of his short career. Despite pitching extremely well in 2015, he had no run support in Atlanta. Miller averages about 94mph on his fastball, with a good two seamer. He also throws a curve, changeup, and cutter. He threw more cutters in 2015 than in any other year of his career, and it worked out pretty well for him. Alright, so that’s the breakdown of the Cubs’ top pitching targets that I think they could realistically end up with. And if they do land any of those three, it will be two of them at most. Let’s not mess around here, and get straight to the point. With Zimmermann and Price off the market, the two guys that the Cubs were most likely to spend big on, they now have some extra cash to throw at a center fielder. Enter Jason Heyward, the most sought-after outfielder on the market. After playing his first five seasons in Atlanta, Heyward was traded to St. Louis in a deal that included none other than Shelby Miller going the other way. In his six seasons in the league, Heyward has averaged about a .270 batting average, 19 home runs, and roughly 70 runs batted in. Not eye-popping stats, but still good ones. This past season was one of his best, as he hit .293 with 13 dingers, 60 RBI, and a career best 6.54 WAR (wins above replacement), which was good for fifteenth in all of baseball. He also won his third career Gold Glove in just his sixth season. Heyward will get a lot of money from whichever team signs him. The specific amount remains to be seen. The biggest question that the Cubs have regarding signing Heyward is his ability to be a full-time center fielder. Odds are that Dexter Fowler will not return to Chicago, meaning Heyward, who played a handful of games in center while in St. Louis, would take over that position. If the Cubs believe Heyward can handle that permanent role, they will aggressively pursue him, and rightfully so. Another option that the Cubs have is Denard Span, who has patrolled center field for the Nationals over the last three seasons. Span, who is 31 years old, has a career batting average of .287 and a .352 on-base percentage. Both of those numbers are very ideal for a leadoff hitter, which is where he’d bat if in the Cubs’ lineup. He is also an above average defensive player, with a career .991 fielding percentage. First, I think a Castro/Baez for Shelby Miller trade would be huge for the Cubs. What the Braves will likely want, however, is Jorge Soler, which I would still be in favor of. Miller is young and has a very good arm. Put him to work with Chris Bosio (a pitcher guru), and he could become a star. Second, the Cubs would be smart to sign John Lackey to a two-year deal worth roughly twenty million, as I previously discussed. Given Lackey’s age, this is a good deal for both the club and the player. Imagine a starting rotation of Arrieta, Lester, Miller, Lackey, and Hendricks… Not bad. Jason Heyward. The Cubs need to sign him ASAP, meaning whenever they can. He would be a great addition to the lineup without question. If the Cubs fail in getting Miller or Lackey, then I’d be okay with them turning their focus to Samardzija. Like with Samardzija, Denard Span should be the Cubs top outfield target if they miss on Heyward. This is likely going to be a fun December for Cubs fans as the front office has made it clear that they’ll be looking to upgrade their starting rotation and add a replacement for Dexter Fowler. In terms of the bullpen, there are a lot of candidates out there and speculating as to who the Cubs may pursue is a crapshoot at this point. The MLB trade deadline is now less than a week away, meaning trade rumors are popping up left and right around the league. In the case of the Cubs, they’ve made it known that they would idealy like to add another arm to their starting rotation. Their starting pitching has been quite good this season with guys like Jake Arrieta, Jon Lester, and Jason Hammel leading the way. Second year starter Kyle Hendricks has also performed well up to this point, but the Cubs would still like to add another solid starter to the rotation. Enter the names Hamels and Price. 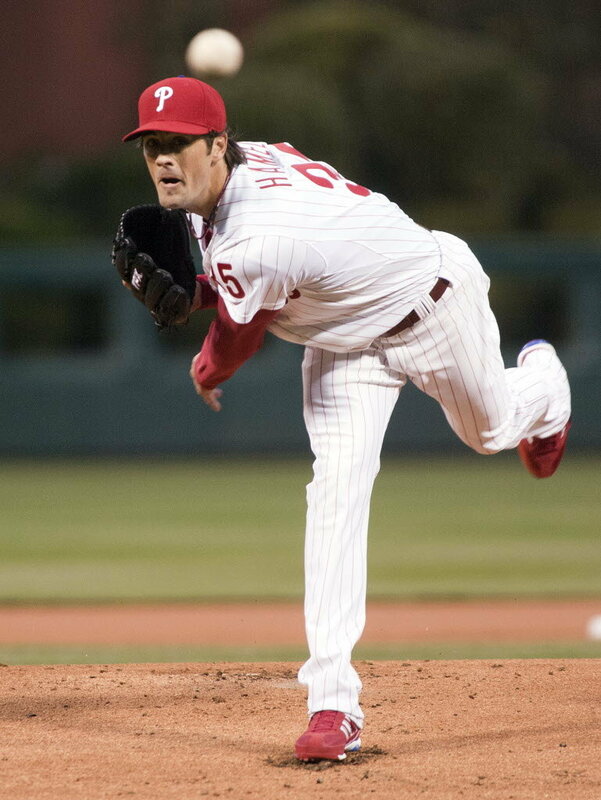 It is no secret that the Philadelphia Phillies are looking to trade away Cole Hamels in return for some high end prospects as they move forward with their rebuilding process. And with the Cubs seeking another top arm, along with the fact that they possess multiple appealing trade pieces (Baez, Castro, etc. ), the two teams seem like a nice fit to become trade partners. More recently, David Price’s name has started showing up in the league-wide trade winds. With Miguel Cabrera out until at least late August, if not longer, and with the Tigers currently five games back of the second wild card spot in the American League, GM Dave Dombrowski is contemplating whether to raise the white flag on the season and trade away some valuable pieces in exchange for young talent. 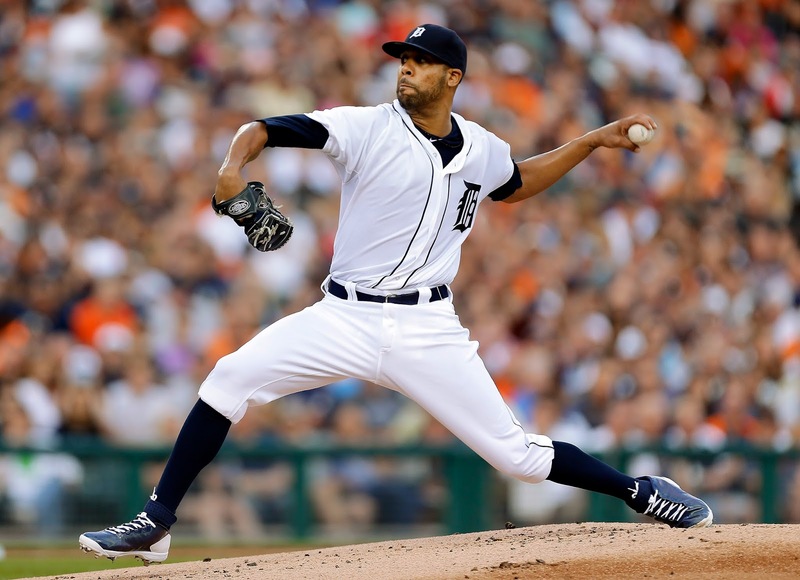 Given the fact that David Price is set to become an unrestricted free agent after this season, he seems like a prime candidate to get dealt if the Tigers do in fact make the decision to give up on this season. The Cubs have naturally been one of the teams said to be interested in Price should he become available due to their desire to acquire more pitching. So if it were to come down to picking one pitcher over the other for the Cubs, who should they make their top priority? While on the surface most might disagree with this, the answer is Cole Hamels. Sure, David Price is is 9-3 with a 2.31 ERA this year and Cole Hamels is 5-7 with a 3.91 ERA. Statistically, Price is the better fit for the Cubs, or any team for that matter. However, when looking at the statistics of both Price and Hamels, you should take into account the team that each one currently plays for. Hamels earned run average is higher than most would like it to be, but he’s pitching for the worst team in baseball. The reason Hamels is the better option for the Cubs is this: He won’t be a rental player. He’s currently under contract through the 2018 season with a club option for 2019. Cubs general manager Jed Hoyer has made it clear that the team is not willing to part ways with any of their top prospects in exchange for a guy like Price who could potentially sign with a different team next offseason. With Hamels, he’s guaranteed to return to the Cubs for at least three more seasons should they acquire him. While Hamels’ ERA is slightly concerning, many believe it would improve if traded for two reasons. 1) All of this trade talk has gotten into his head and is playing a role in his performance on the field. Once traded, he’ll feel more comfortable and his statistics could/should improve. 2) If traded to the Cubs, he’ll be working with one of the game’s best pitching coaches in Chris Bosio. With the Phillies in Chicago this weekend for a three game series at Wrigley Field, it is entirely possible that a deal between the two teams could get done by Sunday night or shortly thereafter. If the Phillies are simply asking for too much in return for Hamels, I would not expect the Cubs to overpay. They may then instead turn their attention towards a reliever and depth starter. As for the David Price situation, I don’t think the Cubs will agressively pursue him unless they can work out a sign and trade with Detroit. If Price agrees to such a deal, he’d be the better pickup between him and Hamels. Keep in mind, however, that Price has hinted in the past at wanting to play for the Cubs and Joe Maddon (his manager in Tampa Bay). If the Cubs don’t get him at the trade deadline, they will definitely be players for him in the offseason. One benefit to signing him after the season is that they would not have to give anything up to get him like they would in a trade. The next six days should be interesting on the North Side. The fact that we’re discussing the Cubs as potential big buyers at the deadline rather than sellers is a great feeling.